I love this risotto and usually get the urge for it when I’ve had a weekend-of-shame and know I have eaten too much rubbish. It’s very much a Spring dish and it fills the culinary gap between winter bakes and Summer salads. It’s also great for a fridge raid, so I always just throw in whatever I’ve got that’s green in the veg box. 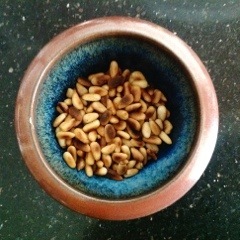 Finely chop garlic and an onion and soften slowly in a frying pan. Add a cup of risotto rice (there are various options but I used arborio) and stir in gently with the softened onions for a few minutes. Then add a good slug of dry white wine if you like. You’ll need about 600ml of good quality vegetable or chicken stock and this is added to the rice approx. 100ml at a time and stirred until absorbed. I’m fairly attentive with my risotto and give it a good stir every couple of minutes. This process will take around 15/20 mins. While the rice still has a bit of bite, add the vegetables that require some cooking such as green beans and asparagus. 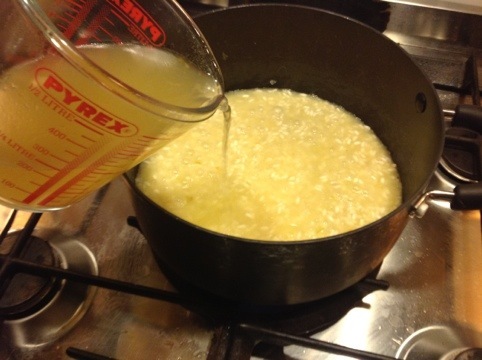 If you’ve used all the stock, keep it moist (a bit like porridge) with a bit of boiling water. 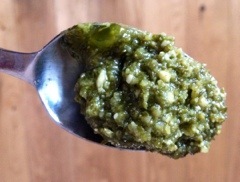 When the bite of the rice is barely there, add the last vegetables (maybe peas, spinach, rocket) and a handful of toasted pine kernels and a tbsp of fresh pesto. At this point I turn off the heat and pop the lid onto the pan and leave the risotto to sit for a final few minutes before adding a handful of parmesan. I’m a sucker for a drizzle of truffle oil just before serving, to add an extra earthy flavour to the delicious fresh green taste of the finished risotto. 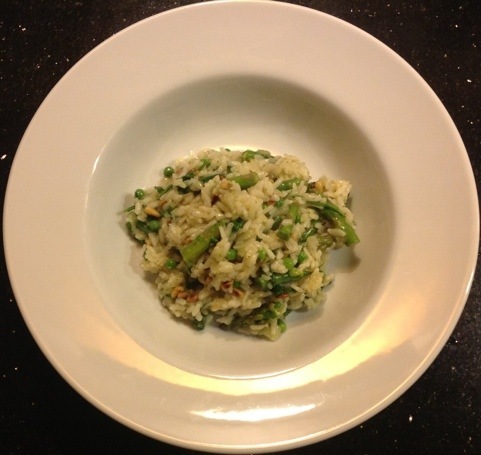 This entry was posted in Recipes and tagged Arborio rice, Rice, Risotto, Vegetable, vegetarian. Bookmark the permalink. 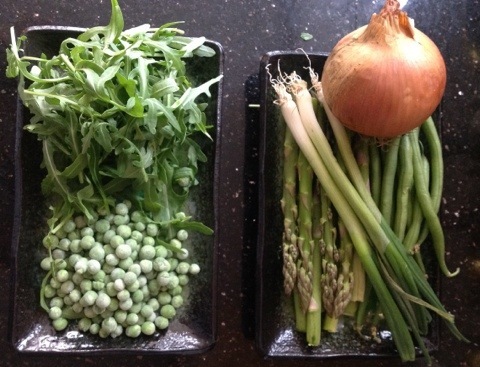 Your risotto really does sound like spring to me and I loved your first photo…very clever. Thank you, it’s tastes like Spring too, and anything this green’s got to be good for you, huh?! Let’s hope so because it sounds great. Charlie, thank you for taking the time to leave a comment on my blog. I’m thrilled to find another blog which covers two of my favorite topics – food and travel. I’ve also been looking for a simple Risotto recipe. Thank you for sharing this. I can’t wait to try it. I love all these green springy veggies. YUM!